move. Each lighter color petal you see is a good sized pocket. That is a total of 6 pockets. for a nice clean look. It is not raw edged. 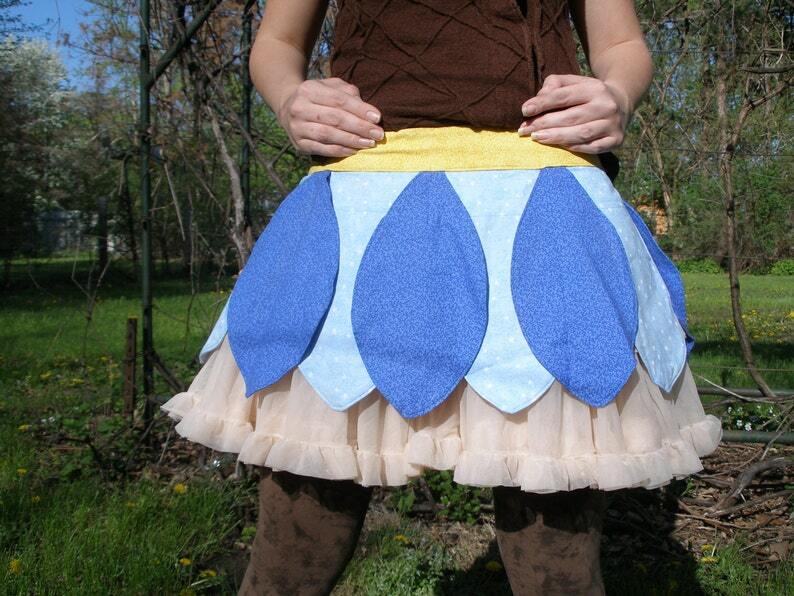 Each petal is sewn, serged and top-stitched. the belt is with the ties is 87 inches long. It ties in a bow in the back.